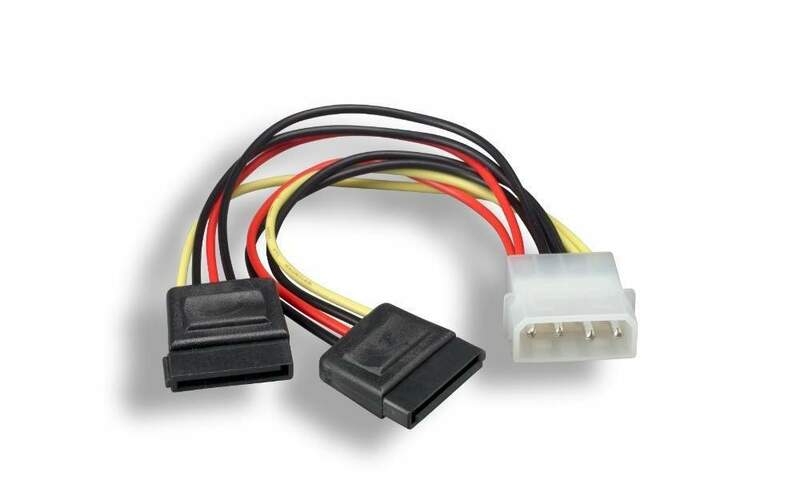 The Serial ATA power cable connects any Serial ATA drive to any standard internal power connector. This cable comes with (2) 15-pin connector and (1) 4-pin male connectors. 1-Assembled 4-Pin Male Power Connector.